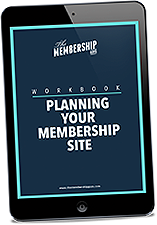 While that approach may have worked for Kevin Costner in Field of Dreams; it most certainly does not apply to launching a successful membership website. 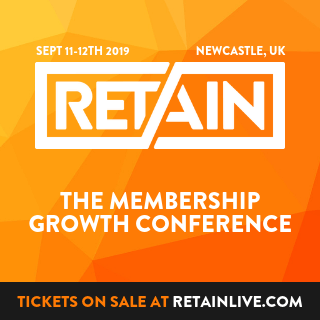 Time and time again we see cases where people are so entrenched in the process of building their membership site that they haven’t even begun to think about how to get it off the ground. By doing this you put yourself in the best possible position to succeed when you open the doors. Perhaps the most well known strategy for launching an information product, membership site or online course is Jeff Walker’s Product Launch Formula. There’s a great deal more psychology and nuance to what Walker teaches, and if you’d like to dig further then I’d recommend checking out his book Launch which covers this strategy in depth. Webinars are extremely popular these days, and for good reason. Assuming your membership site revolves around educational content, then it makes sense that a good place to start for finding new members is to tap into people who demonstrate a desire to learn something about your topic. Offering a live webinar on a relevant topic is a great way to generate qualified leads, teach them something of value and then introduce them to your product. The live aspect is particularly instrumental in supporting any ‘scarcity tactics’ you employ in your pitch, such as a limited window for discounted pricing. Run a teaser campaign to your existing audience. As soon as you have a pretty good idea of what it is that you’re going to be offering, it’s a good idea to put some form of “waiting list” online so that you can start gathering leads early. Once those people have joined your waiting list, it’s a good idea to check in with them from time to time in order to update them on progress and whet their appetites for your forthcoming membership site. As you move closer to the actual launch of your site then you can start this up; periodically sending information to your audience as well as posting “teasers” across your social media channel with tidbits of information about what’s coming up. Notice that whenever a movie comes out, its stars seem to pop up in every magazine interview, entertainment blog and TV chat show? They become ambassadors for the forthcoming release, tasked with raising awareness and getting people excited and interested in seeing it. You need to become that for your upcoming product launch. Strategically seeking out the blogs and podcasts that are popular with your market and arranging guest blogging and interview opportunities is an extremely effective way of leveraging other people’s audience to publicise and promote your membership site. 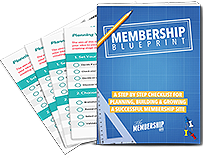 All of this should, of course, be complemented by ramping up your own content marketing efforts with a broad mix of material that all leads in to your membership site or online course. Scarcity is proven to be a very powerful factor in generating sales. Launches present us with a fantastic opportunity for leveraging genuine scarcity (our favourite kind! ), so it’s very much worth tapping into that for the release of your own membership site or online course. If you’re going to be running a time-sensitive product then this scarcity will be baked in since you’ll have specific opening and close dates or limits on the number of enrolments; so you should be emphasising this as much as possible. For evergreen products the simplest way to leverage scarcity is to offer discounted, introductory pricing during your launch period. We recommend limiting the discount to a specific time period rather than limiting it to, say, the first 100 members; as if you do the latter and two weeks later the offer is still available it will be clear you’re still not at 100 members, which doesn’t reflect well on you! Same goes for launch bonuses too – you can offer additional training, bonus add-on products, exclusive one-on-one sessions with you, or anything else you may think of to add value for early adopters. Reverse engineering the marketing activities of other businesses is a great way of getting insight and ideas for your own project, so keep an eye out for anyone with a launch coming up and pay attention to what they do. How many of these launch strategies are you going to try to work into your own plans? What other tactics are you thinking of trying out? I’d love to hear what you’re thinking and where you’re at in your own launch preparations.